Patents usually confer 20-year exclusive rights on inventions. Data exclusivity laws confer, depending on the country, 5 to 10 years’ exclusive rights over safety and efficacy data submitted for the registration of new medicines by regulatory agencies. Supplementary protection certificates, or SPCs, are a form of patent term extension, granted at the expiry of the patent term to compensate for time lags due to the medicine’s registration process, during which the exclusive rights on the medicine could not be exploited commercially. These exclusivity rights are available for new medicines based on both patent and medicines laws. Altogether, these measures provide a solid fence to generic competition for a certain period of time, even though the TRIPS Agreement does not require countries to grant either data exclusivity or patent extension beyond 20 years. Gilead’s well-known antiretroviral medicine tenofovir disoproxil fumarate (TDF), available in fixed-dose combination with emtricitabine (FTC) under the brand name Truvada, is recommended by the World Health Organization as an essential part of first line treatment for HIV/AIDS and for HIV pre-exposure prophylaxis or PrEP, to prevent the acquisition of HIV infection by uninfected persons. Gilead filed four categories of patents at the European Patent Office (EPO) which protect various aspects of TDF/FTC. The first one, EP0915894, expired in July 2017, claimed essentially tenofovir disoproxil (TD). A second one, EP0998480, due to expire on 23rd July 2018, claims specifically the fumarate salt of tenofovir disoproxil. A third one, EP1583542, originally due to expire in 2024, claimed combinations of TDF and FTC but was revoked in March 2017 by the EPO for lack of inventive step. A fourth one, EP2386294, due to expire in 2026, claims the triple combination TDF/FTC/EFV, known under the brand name Atripla, which includes efavirenz as a third component. This is nine years after the first related patent (TD) expires. This practice of applying for subsequent patents related to a single medicine, known as evergreening, is a common practice of pharmaceutical companies to extend patent protection for as long as possible, thereby keeping generic competition at bay. In 2017, generic companies found a way around Gilead’s second, third and fourth TDF patents to bypass Gilead’s evergreening strategy for TDF and to market more affordable versions of the medicine. Generic manufacturers demonstrated that other salts of tenofovir disoproxil, e.g. tenofovir disoproxil phosphate or – maleate were bio-equivalent to Gilead’s TDF. As a result, the European Medicines Agency (EMA) approved several generic tenofovir products (now called TDX) as standalone products or in combination with FTC and EFV for sale in the EU as soon as Gilead’s rights on TD expired in July 2017. Had generic companies not developed TDX and the EPO not rejected the patent on TDF/FTC, evergreening might have extended patent protection of TDF/FTC until 2024 and of TDF/FTC/EFV until 2026. What about data and market exclusivity? launch their approved generic in the European market only 10 years after the original medicine was approved, assuming that the patent has also expired by this time. For more information about data exclusivity in the EU see here. Gilead’s market exclusivity on TDF, TDF/FTC and TDF/FTC/EFV expired respectively in 2012, 2015 and 2017 because these products were approved respectively in 2002, 2005 and 2007. Generic companies could apply for registration of generic TDX, TDX/FTC and TDX/FTC/EFV at EMA but Gilead’s patent on TD prevented any marketing until it expired in July 2017. What about patent extension in the form of supplementary protection certificate (SPCs)? Like data exclusivity, SPCs are subject to EU regulation but the decision to grant an SPC is made by national patent offices. SPCs extend the monopoly period for a medicinal “product” (active ingredient or a combination of active ingredients) that is protected by a patent to an ‘effective patent life’ of maximum 15 years. Gilead could not obtain an SPC for TD because the time lapse between the patent filing date (July 1997) and the market approval (February 2002) was less than 5 years, and the company still had more than 15 years to enjoy the exclusivity conferred by the patent. Gilead requested SPC’s in several European countries, based on the marketing approval of TDF/FTC, to extend its patent claiming tenofovir disoproxil EP0915894, which expired on 31 July 2017 in most European countries. Several countries refused to grant such SPCs (including the Netherlands and Greece), but others (e.g. France, Ireland, Switzerland) did extend the monopoly until February 2020 (eg. 15 years from the date of approval of TDF/FTC). 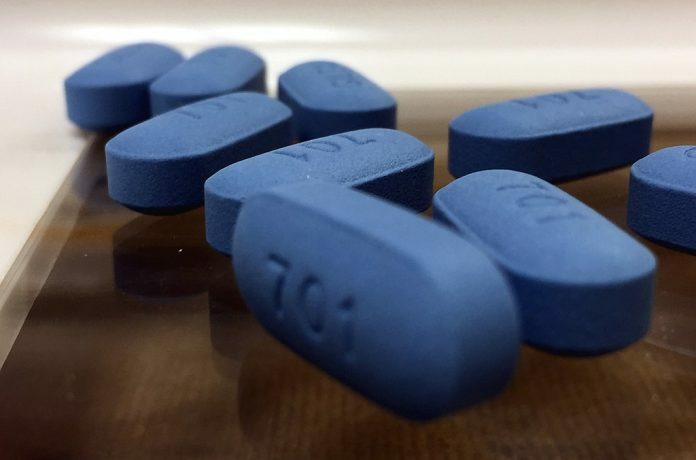 The UK Patent Office had initially rejected Gilead’s request for an SPC to extend its TD patent, based on TDF/FTC (Truvada)’s marketing approval in 2005. But Gilead appealed and obtained the grant of the SPC until 23 February 2020. Generic manufacturers (Teva, Accord Healthcare, Lupin and Mylan) challenged this decision, asserting that Gilead’s TD patent does not claim Truvada specifically and therefore Gilead cannot obtain an SPC to extend its TD patent based on Truvada market approval. The UK High Court deferred the case to the Court of Justice of the European Union (CJEU) to clarify if Gilead’s marketing authorization for Truvada could form the basis for an SPC on Gilead’s TD patent. The upcoming decision of the CJEU could have major repercussions not only for Gilead’s pending SPC in the UK, and potentially other countries where they have been granted and remain active, but also on the practice of pharmaceutical companies SPC applications for medicinal products containing multiple active ingredients. See here for more information about the case before the CJEU.